Wash the swordfish steaks and pat them dry with paper towels. Sprinkle with salt, then dust lightly with flour, on both sides. Fry the garlic cloves in a saute pan in the olive oil over low heat until golden. Remove the garlic and discard and brown the swordfish steaks in the same oil, turning once. Remove steaks and keep warm. Add the anchovies and onion to the oil an fry until golden, and the anchovies are reduced to a puree. Add the tomatoes and rosemary and simmer gently for 30 minutes until reduced and thickened. 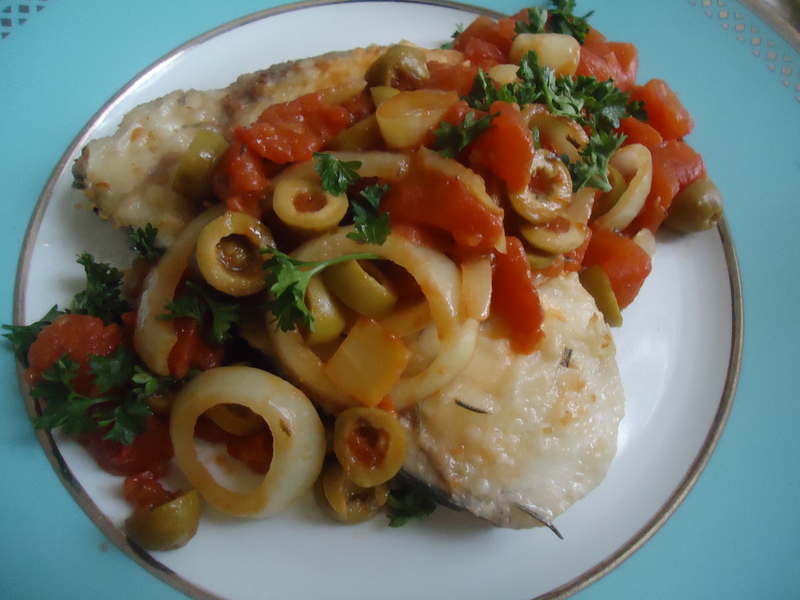 Add the olives and capers and season to taste with salt and pepper. Return the swordfish to the sauce and then heat through very gently. Serve them sprinkled with chopped parsley.